This is Amorgos. It’s one of the smaller Greek Islands – pop 1973. It’s been interesting to visit Greece. The economic distress is not far below the surface. There are the same visible scars on the landscape as you see in Ireland – hopelessly ambitious building and development projects left unfinished. They were financed by huge amounts of cheap credit and one has to assume that neither banking nor planning regulation did their job. Most of the time, that doesn’t matter very much. But I think that it is an issue which we and other churches should be addressing – it certainly seems to me to be at least as important as some of the issues discussed at General Synod. We are challenged by big geography and small population. So on line meeting offers huge potential for saving people’s time and reducing our carbon footprint. The same applies to our current exploration of training issues – there is potential to transcend geography by bringing together a widely-dispersed training community. I’m a great one for connecting up issues. So here is a link between mission and ministry issues and environmental impact. Surely we should be doing something about it. It must be at least as important as the new Forth Crossing. 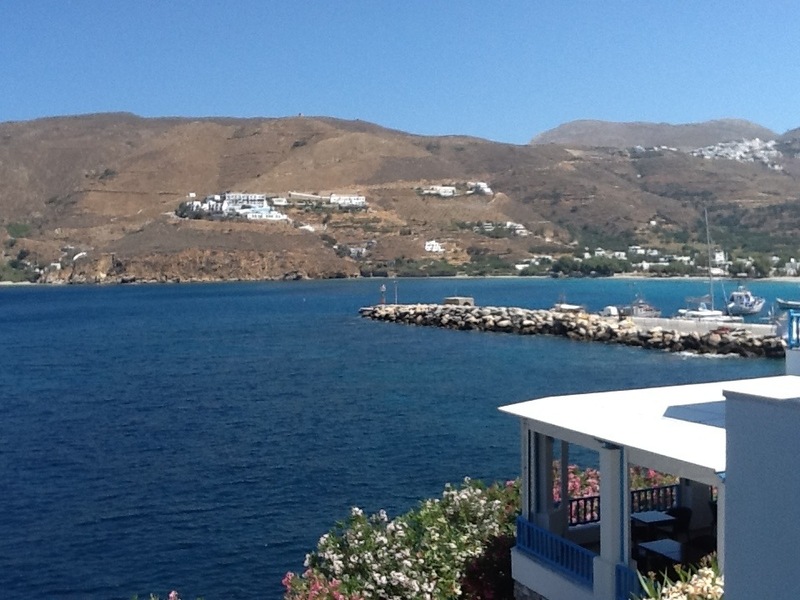 Or perhaps I’ll just move to Amorgos and carry on my operations from there?